The former Chelsea manager Avram Grant has said that the star striker Fernando Torres will be able to find his form, but he needs to sort his mental attitude first in order to do so. Fernando Torres has overseen the presence of the managers already during his short spell at Chelsea. The striker cost £ 50 million from Liverpool back in the January transfer window of 2010. However, he has been a major disappointment because he has failed to score any goal of noteworthy importance. Many regard him to be a shadow of the striker who was at Liverpool. However, the arrival of Rafa Benitez, who was his manager at Liverpool, could bring the best out of the striker. Rafa Benitez has replaced the former manager Roberto di Matteo. The likes of Carlo Ancelotti, Andre Villas-Boas, and Roberto di Matteo have all failed in the task of getting the best out of Fernando Torres. The striker has scored just one goal in the last seven matches. Under the guidance of the Spaniard Rafa Benitez, Torres scored more than 50 goals in just 70 Premier league appearances. The former manager Avram Grant, who failed to get the best out of Shevchenko, has said that Torres can become fearsome once again, but his attitude needs to improve. “It all depends on what Fernando [Torres] wants. He needs to start doing his job. He’s running everywhere except into the box, which is his strength. It’s not an easy time for him, but it happens to everybody. It happened to Didier Drogba and others. He’s still a great player and a great finisher but he needs to concentrate on his strengths. I don’t think that a player changes a lot in just a couple of years,” said the former Chelsea man, who led the club to the Champions League final in 2008. The Chelsea defender Branislav Ivanovic has said that Chelsea’s match with Arsenal during the weekend is probably the biggest test they will face during the start of the season. Chelsea will be facing Arsenal, who are one of the top four teams in the Premier league, during the weekend. Roberto di Matteo’s men will be making the short trip to Emirates stadium to face Arsene Wenger’s men. Even though the likes of Manchester United and Manchester city have played against top teams like Liverpool and Arsenal, this will be the first big test for Chelsea. It is the opinion of the defender Branislav Ivanovic, who has played in every Premier league game so far. The 28-year-old Serbian defender has become one of the best right backs at the club. He is also extremely versatile and is capable of playing in the centre of defence. Roberto di Matteo will be making a decision on the captain John Terry. Depending upon the outcome of the decision, there is a chance that Branislav Ivanovic will be playing in the centre of defence. So far, Chelsea have made a great start to the season, but have not faced any of the top teams. They are currently top of the table with a two-point advantage. “We have the next game as a very great challenge for us in the Premier League – Arsenal away. This is the first actual big game for us this season. Our performances and quality – we know how it. But we have to show everyone, and we have to show it every game. This is the biggest challenge. 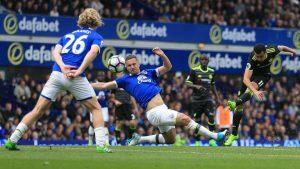 I think Arsenal will be a great challenge for us, and we have to really be ready for that,” said the 28-year-old defender. Chelsea could go four points clear of Manchester United after this match. 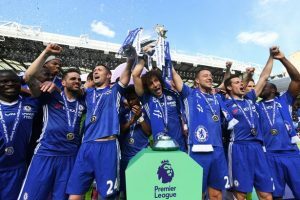 The current European champions Chelsea will be facing the likes of Shakhtar Donetsk, Juventus and the newcomers Nordsjaelland in the group stages of the Champions League this season. The draw for the group stages was recently conducted in Monaco and Chelsea have not been handed the best of groups this time around. Due to the fact that they will be facing the likes of the Italian champions and the Ukrainian team Shakhtar Donetsk, the Chelsea manager Roberto di Matteo has said that it certainly not going to be easy way into the last 16 of the Champions League. The Chelsea manager Roberto di Matteo managed to get the team to the final of the competition last season, while also Chelsea became the surprise winners following the 4-3 penalties victory over Bayern Munich. In doing so, Roberto di Matteo brought the only trophy that has been missing from the trophy cabinet. The manager has said that it is going to be extremely difficult to win the Champions League for the second consecutive season because no team has managed, but they will try nonetheless. He has said that matches against Juventus and Shakhtar Donetsk will be the ones to watch in this group stage. “It’s not an easy group, it’s going to be tough. Juventus I know very well, champions of Italy. They play some high tempo football, some good football, and have some good players. Shakhtar because of the connection with our club doctor Paco Biosca, who spent seven years there, we know a lot as well. Nordsjaelland are probably the weakest team in the group, but I think we will have to be at our best from the first game with juventus at home,” said the Chelsea manager Roberto di Matteo, who is preparing for the UEFA Super cup match against Athletico Madrid. Chelsea manager Roberto di Matteo has said that it will take some time before the new £ 32 million acquisition for the club Eden Hazard will be able to deliver his full potential. The 21 year old Belgian international joined the club in the summe, even though he was hotly rumoured to be heading to Manchester (according to the <a href=”http://www.ilovemancity.com”>Man City news</a> website). He is expected to the attacking football to the club due to his style of play, which was something that was lacking from the team in the last few seasons. After the departure of the players like Arjen Robben, Chelsea have really lacked the player like Eden Hazard, who can trouble and get past players. However, the 21-year-old has been disappointing in the last few pre-season friendly matches for Chelsea after opening his account in style in the first pre-season match against Seattle Sounders. The Chelsea manager Roberto di Matteo has said that the fans should not expect a lot from Hazard in the first few matches of the season because it will take a little time to gel with the rest of the team. Roberto di Matteo has also said that he is still finding the best position for the £ 32 million signing, who is reportedly on £ 150,000 per week wages. “Of course we are looking for Eden to be incisive – but we have to be patient. He is a young man, he has come from a different league in France and we need to give him time to adapt. There will not be radical changes. We will try to make some changes. With the integration of these new players, inevitably we will change how we play a bit,” said Robert had a Matteo after the 3-1 defeat at the hands of Brighton on Saturday. This was the third consecutive defeat of the pre-season friendly matches for the club, which is very worrying indeed. Internacional midfielder Oscar has revealed that he will be making a decision on his future only after the conclusion of the London Olympics 2012. It has been reported in the last few days that Chelsea have agreed a £ 25 million bid for the playmaker, who is regarded as the next big thing to come out of Brazil. The playmaker is currently in the UK as part of the London Olympics team from Brazil. It was also exclusively revealed by skysports that he was taking a medical at Chelsea with a view towards completing his much anticipated move to the Premier league club. However, the 20-year-old has confirmed that he has not signed any deal with the club, but has undergone a medical. He has also said that he will be making a decision now his future only after the completion of the London Olympics 2012, as it is his only focus right now. Despite being only 20 years of age, Oscar is known to produce excellent and matured performances for the national team. The deal to bring him to Stamford Bridge is one of the biggest in recent history according to the club’s president. The club are also linked with a number of other Brazilian players like Neymar, Lucas, and Hulk. “I only had a meeting with the doctor, nothing else. I didn’t sign any contract yet and I will wait until the end of the Olympic games to decide my future. All Brazilian players have this dream. I have, like everybody, the dream to play in Europe and the Premier League. It’s like a dream for me, participating in the Olympics, it’s so important for my career and I hope to win the gold medal here,” said Oscar after the initial 2-0 win over the Team GB at Middlesbrough’s Riverside stadium.